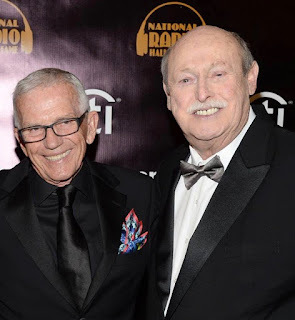 San Diego, CA – February 3, 2015 – 101.5 KGB FM announced today that Nick Hardwick will begin his broadcast career as co-host alongside Clint August during the afternoon drive, beginning Monday, February 9, 2015. The show will air live every weekday afternoons from 3-7:00 p.m. PST. Nick Hardwick announced his retirement from professional football today (February 3, 2015) after an 11-year career playing center for the San Diego Chargers. Nick entered the NFL as a third round draft pick from Purdue and spent his entire career with the San Diego Chargers, where he started 136 games and played in the 2006 Pro Bowl. 101.5 KGB is San Diego’s heritage classic rock station currently ranked as one of the Top 5 radio stations with adult 25-54 in the market. The station can be heard on-air at 101.5 FM, online at101kgb.com, as well as on iHeartRadio.com and the iHeartRadio mobile app, iHeartMedia’s all-in-one music streaming and digital radio service. iHeartRadio is available across web, mobile phones, tablets, automotive partners, smart TVs, gaming devices and more. iHeartRadio is always free for listeners to use, with no capped hours or monthly subscription fees. It delivers everything listeners want in an all-in-one platform: Instant access to more than 1,500 radio stations from across the country, user-created Custom Stations inspired by a favorite artist or song, thousands of curated digital stations "Perfect For" any mood or activity, and a Shows & Personalities feature giving users access to the best on-demand news, talk and entertainment content available today. To see all available platforms and to download the app, visit iHeartRadio.com/apps. That seems kinda random, but good for him!